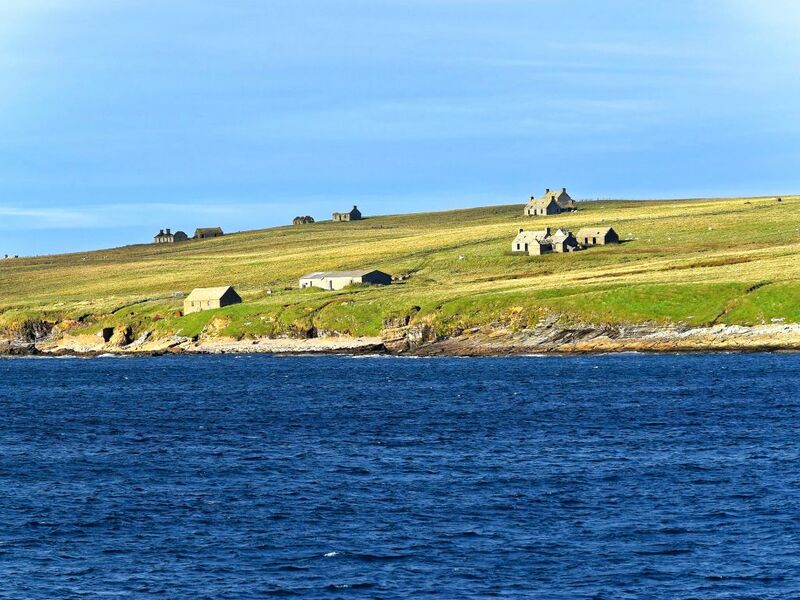 Fancy sailing alongside the rugged Scottish coastline, taking in a generous amount of ports and scenery along the way? Hop aboard Fred. Olsen's Black Watch for a leisurely tour of Scottish lochs, highlands, and islands, sailing from Liverpool. Your adventure to Scotland starts in Liverpool on Friday 20th July, where you'll board Black Watch. This ship is small but perfectly formed. It lacks the bells and whistles of the mammoth giants that sail occasionally drop into Liverpool, but its small scale means it is not overwhelming and is perfect for touring the Scottish coastline. Onboard you can expect a friendly atmosphere - by the end of the trip you'll feel part of one big family. The first day is spent at sea. You're free to do whatever you want to. Hopefully the sun will shine in July so grab a sun lounger and soak up the rays, or take a dip in the pool. Head to the spa or enjoy a drink or two while taking part in the onboard entertainment. Keep your eyes peeled for Fingal's Cave. It is located on the inhabited island of Staffa in Scotland's Inner Hebrides, and the ship will pass by - cameras at the ready! On Sunday, you can stretch your legs in Kirkwall, capital of the Orkney Islands. Explore the fusion of Christian, Nordic, and Celtic heritage, have a bite to eat, or splurge on local crafts in the shops. Monday's call is Tobermory on the Isle of Mull. It was built as a fishing port in the late 18th century and is now the main village on the island. It doesn't have a cruise terminal so this port is tendered, meaning small boats run between Black Watch and Tobermory, ferrying passengers back and forth throughout the day. Book an optional excursion or explore the island on your own. That evening, you'll cruise along the Sound of Mull, a picture-perfect stretch of water flowing between the Isle of Mull and the shores of Scotland. Another superb photo opportunity here, as is Duart Castle, one of the prettiest castles in the Highlands. You'll sail by this 13th century castle so keep a look out for it. The adventure doesn't stop with Tuesday's port of call being Greenock. This is the gateway port for Glasgow so it's not surprising many will flock to the city either under their own steam or on optional organised tours. Make the most of your time in Scotland as the adventure draws to a close on Wednesday morning as you arrive back in Liverpool.